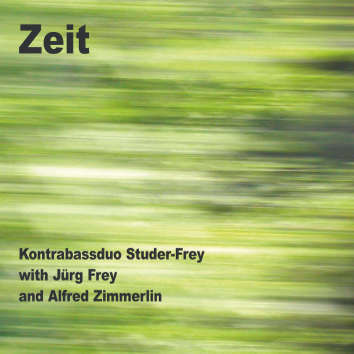 Zeit is the quintessence of Daniel Studer and Peter K Frey playing together for over 15 years. On four out of ten pieces this bass duo was augmented by Jurg Frey on clarinets and Alfred Zimmerlin on violoncello. The CD is practically a suite with alternating pieces for duo and quartet. The sequence of the pieces was deliberately chosen in such a way as to present the recording as one whole composition. You will be interested to read the liner notes by the trombonist Giancarlo Schiaffini.